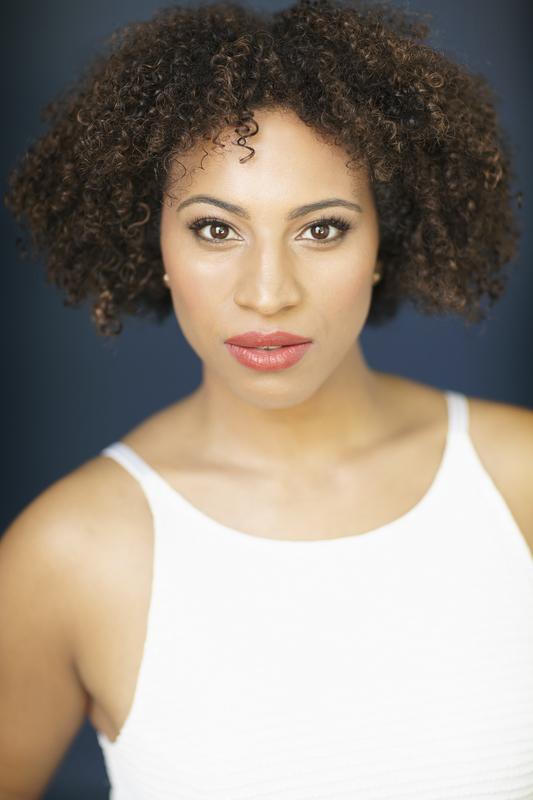 Sabryn Rock is one of the most consistent and versatile performers in Canada. 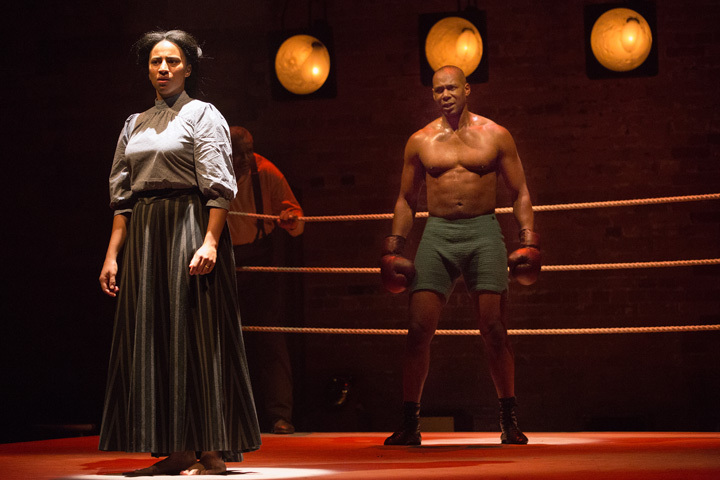 Principally known for musicals, it was her impactful performance in a modern play – boxing drama The Royale at Soulpepper- that earned her her Outstanding Supporting Performance in a Play nomination this year. The first experience I remember with theatre was in around grade 5 when a young group of kids toured to my school and presented a short play that had singing and dancing in it. I remember being absolutely floored because A- these were kids MY age B- they were missing school and C- to perform in front of other kids??? I thought that was the sweetest gig ever and was immediately jealous and dead set on being in it. The following year I auditioned and became part of that troupe. It served as a lot of my training in my youth and teen years and was my introduction to so many things like Sondheim and Shakespeare. There are so many performers from Saskatchewan who started there who are now at Stratford, Shaw, Broadway etc. I count myself doubly blessed that they came to my school in Grade 5. One of the most impactful memories I have was seeing my eldest brother in his high school’s production of A Midsummer Night’s Dream as Oberon and having my mind blown at the world he got to take part in creating. I was so envious and inspired by him and how he transformed himself, the complexity of the language (even though I didn’t understand a lot of it), the magic and comedy of it all and thought “I would really like to do that too!” At that time, I basically wanted to do anything he did…although after time he quit acting and it stuck for me, so it’s all his fault. One of my favourites was actually in high school getting to play the Witch in Into the Woods. I was only 16 at the time but it was a game changer for me and the first complex show I’d been a part of at that point in my life. It was the first time I remember truly connecting to a role on a whole new level and losing myself in it a bit which was exciting and scary. Boy, would I ever love the chance to bring my knowledge and life experience to that role now as an adult! I always wanted to play Viola in Twelfth Night and Aaron the Moore in Titus Andronicus. But also Angelica in Hamilton and pretty much anything in a Suzan-Lori Parks play. You were nominated for this same award back in 2012 for Caroline, or Change. What stands out in your memory about that production? It was a career highlight for me. The cast, the production, the music and book… one of the rare times when everything worked perfectly together. The right time, the right group of people…and playing Emmie was such a fun and deep challenge for me. That show is a masterpiece and I’ll never forget the experience. Your resume runs the gamut from musicals to contemporary to classical work. Does one of those arenas feel more like home than the others or do you ultimately approach them much the same way? They’re not that different to me at all and I love the variety in my career. The focus is obviously split differently depending on if it’s a play or a musical. I also find I’m much faster with memorization when there’s music and rhythm involved which is a great segway to the Royale. How did you get involved with The Royale? I auditioned like the best of ’em! Last year, a friend had told me about how great the play was although I had never heard of it before then. I was delighted to have been asked to read and ecstatic once I started really delving into the play and booked the role of Nina. What were some of the most interesting conversations you had with director Guillermo Verdecchia in discussing your interpretation of the role? Learning about and discussing the life of Jack Johnson, who inspired the play, was fascinating and informed the relationship between our Jay Jackson and his sister Nina in many ways. We talked a lot about their family dynamic and backstory as well as who and what she represented in the play when she finally makes her big entrance. As soon as Nina enters everything changes and Jay, the machismo athlete, turns into a stuttering child. Another fascinating discussion was around what responsibility an individual has to his community and racial group, and what it means to be a “privileged” person of colour in 1905. One person’s actions prove to be inspirational AND dangerous, especially to those closest to him. There was no one more intelligent or sensitive than Guillermo with whom to uncover all of these ideas. Tell us about working with Dion Johnstone as your brother. Dion is one of the most disciplined and hard working artists I have ever had the pleasure of working with. I was inspired by the level of care, attention and professionalism he brought into the room and onto the stage every single day. I had never worked with him before and to have to find that sibling connection in a very emotional play was daunting to me, having three brothers myself. But he was so generous, patient and trusting with me and I always felt so taken care of. All I had to do was show up, listen and react and when we were in our two scenes together the outside world disappeared and I truly felt like we were blood relatives going through it together. I have nothing but the utmost respect and admiration for that man! What do you hope audiences took away from The Royale? I want people to appreciate how masterfully written this play is. I was shocked I had never heard of it because it is a unique gem of a play that Marco Ramirez has written. I hope people went home and immediately looked up Jack Johnson. I hope people left the theatre thinking about how racism exists today. In some ways we haven’t come very far at all. I hope that we all ask ourselves how we’re accountable to each other, and how we might be using our privilege. You were also in Fun Home last year. What was that experience like? Fun Home was another dream combination! The musical is a work of genius and the stellar cast and production team are what made it so successful. The most inspiring thing to me was how many people actually saw it; and not just regular theatregoers… it attracted such a diverse group of people who knew and loved the source material and that was the most exciting part. Specifically, a lot of queer youth stayed after the show to tell us how moved they were by it and how important it was to see a story like this reflected on a big stage. It’s rare that you get to be a part of something special like that, that is reaching the people who need it most. That was one for the books. I’ve just begun rehearsals for Next to Normal with Musical Stage/Mirvish as apprentice director. I’m fortunate to be assisting Philip Akin over the next month on that show. Thank you so much for this honour of being nominated! Can’t wait to celebrate all the amazing talent the 15th.